The best part of a cookout is actually being out of the house! Instead of sitting around the kitchen table, it's a picnic in the park or a barbecue in the backyard! 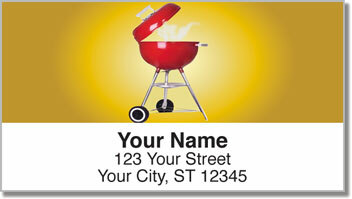 These fun return address labels celebrate your love of grilling in the great outdoors. You fire up the coals, throw on some eats, and serve everyone a flame-broiled masterpiece! 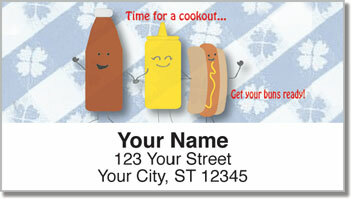 Cookout Address Labels from CheckAdvantage celebrate laidback summer dining at its best. They'll also make your life a little bit easier by simplifying the task of preparing outgoing mail. 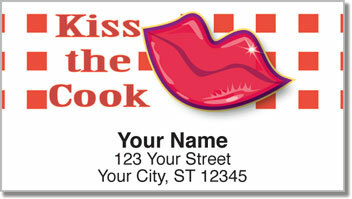 A self-adhesive backing allows you to peel and stick your labels on every envelope! 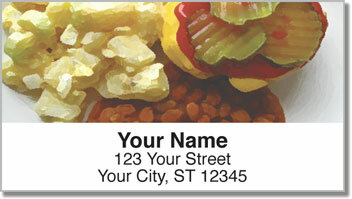 Order your own Cookout Address Labels right now! Get them with a set of matching personal checks.